Last week I had the privilege of hosting a Shomron Day Experience. We visited Mount Kabir towering over Elon Moreh and the Bibical city of Shechem and the Tirzah Valley through which the children of Israel entered the land 3500 years ago under the leadership of Joshua Bin Nun. Later we met with Avraham the Jewish Shepherd in the fields near Kfar Tapuach. I’ll be speaking about this and more on the show. What can be done to stop the BDS and their effort to destroy Israel? On today’s show hear how Gedaliah Blum is helping thousands of small businesses in Judea and Samaria to be more effective and reach more markets in Israel and around the world. Last week we spoke with Eli Greenberg who’s home town Amona was demolished. He told how his family and all of his neighbors and now living in a school as the government is not keeping its part of the agreement the they had reached. 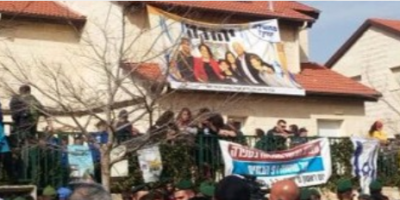 Today we will be speaking with Aaron Lipkin about 9 more homes in the town of Ofra that have been targeted and destroyed in an ongoing effort to uproot the Jewish people from our Heartland. 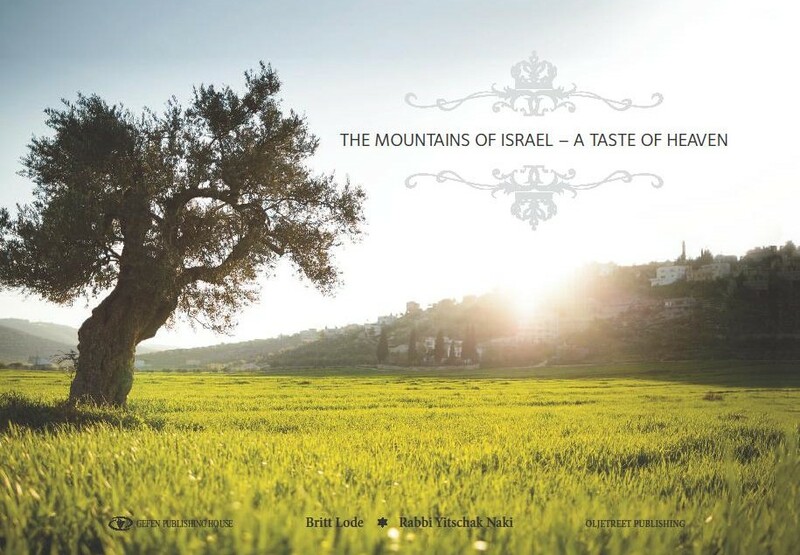 The Mountains of Israel – a Taste of Heaven takes you on a unique and exciting journey through the mountains of Israel. Today these mountains are perhaps better known as the West Bank, and most people would associate them with decades-old conflict – but these mountains also have another story to tell. About 85 percent of the Bible refers to these mountains, or was written from them. In other words, this area is the Bible’s heartland! Complete with stunning photographs, scriptural quotations and short stories containing nuggets of Jewish wisdom, The Mountains of Israel will leave you with a “taste of heaven”! There is a famous story in Jewish tradition about two women who are fighting over a baby, each claiming that the baby belongs to her. They appear before King Solomon, whose wisdom was legendary, to have the king decide between them as to which woman was the real mother. King Solomon’s solution was to cut the baby in half, awarding half the child to each woman. At that point, the true mother stepped forward, heartbroken at the thought of taking a knife to the child, and begged the king not to harm her son. By this act, King Solomon recognized that this was the real mother, and he entrusted the infant back to his mother’s loving care. Perennial adversaries of the Jewish people, and even traditional allies, have all aligned themselves with the chopping block, ready to slice up the Jewish homeland. Every excuse is given; every threat of dire circumstances, that will be the result if Israel does not agree to cut out its own heart, is articulated. Hearing besieged Israelis and beleaguered Jews around the world being forced under this attack to defend the importance and centrality of different pieces of the Land of Israel is much like watching a person trying to explain why both his legs and his heart are indispensible. Pieces of the Jewish homeland have become the fodder for international debate, the heart and limbs callously severed and bandied about by those who clearly do not understand the significance that Yehuda V’Shomron, Judea and Samaria, have for the Jewish people, the significance that the Jewish soul – which we call Jerusalem – has for the Jewish people. The deepest roots a Jew can have are found in these places. There has been a continuous Jewish presence in the Land of Israel from ancient times until today, and this Jewish presence began in Judea and Samaria; this is the birthplace of the Jewish nation. In the days of the Patriarchs, we read of our Biblical families in Shechem which is in Samaria. “Abram passed into the land as far as the site of Shechem, until the Plain of Moreh…G-d appeared to Abram and said, “To your offspring I will give this land.’ ”(Genesis 12:6-7). In the third generation, the Patriarch Jacob purchases land in Shechem, at the site where his son Joseph would ultimately be buried. “Jacob arrived…at the city of Shechem…He bought the parcel of land…for one hundred kesitahs.” (Genesis 33:18-19). During the time of Joshua, the nation of Israel gathered at Shechem to renew their covenant with G-d. “Joshua assembled all the tribes of Israel at Shechem…Joshua made a covenant with the people that day…in Shechem.” (Joshua 24:1-25). Shechem was the place where King Solomon’s son Rechoboam chose to be enthroned. ”Rechoboam went to Shechem, for all of Israel had come to Shechem to make him king (I Kings 12:1). With the subsequent division of the kingdom, Jeroboam established Shechem as his capital in the northern kingdom. “Jeroboam built (up) Shechem in the Mountain of Ephraim and dwelled in it…” (I Kings 12:25). The roots of the Jewish people are found throughout Judea and Samaria, each city and holy site reflecting the history of the people of Israel in the land of Israel. The Matriarch Rachel was buried in Bethlehem, a city in Judea. “Thus Rachel died and was buried on the road to Ephrat, which is Bethlehem. Jacob set up a monument over her grave; it is the monument of Rachel’s grave until this day.” (Genesis 35:19-20). Centuries later, Boaz would meet Ruth in Bethlehem; she would later give birth to the line of the Davidic monarchy. King David was their great grandson. G-d instructed the prophet Samuel, “Fill your horn with oil and go forth – I shall send you to Jesse the Bethlehemite, for I have seen a king for Myself among his sons.”(I Samuel 16:1). Jews have prayed in Bethlehem at the holy site of Kever Rachel, Rachel’s Tomb, through the centuries. Rachel is seen as a source of comfort and solace; shedding tears on behalf of her children: ”Rachel weeps for her children; she refuses to be consoled…”(Jeremiah 31:14). This decree was a necessary response to the harassment that Jews had endured in trying to visit Rachel’s Tomb. At times, they were physically attacked; they often had to pay extortion money to the local Arabs to ensure free passage and to protect the holy site from vandalism. In 1841, Sir Moses Montefiore was granted permission to build a room onto Rachel’s Tomb; this was to protect both the grave and those visiting it. Bethel, another city within these regions of Judea and Samaria, was called by the Patriarch Jacob “the gate of heaven.” It was here that Jacob dreamt of a ladder reaching to heaven. It was in Bethel that G-d gave Jacob a second name and made to Jacob the covenantal promise of the land of Israel and the people of Israel. “Then G-d said to him, ‘Your name shall not always be called Jacob, but Israel shall be your name…a nation…shall descend from you, and kings shall issue from your lions. The land that I gave to Abraham and to Isaac, I will give to you; and to your offspring after you, I will give the land.’” (Genesis 35:10-12). During the time of the Judges, Deborah would sit pronouncing judgments near Bethel on Mount Ephraim. After the Israelites re-entered the Land of Israel under the leadership of Joshua, they lived according to tribe. If anyone has ever ridden on a bus in Tel Aviv, the Dan bus line is a reminder that the tribe of Dan was situated in the area of modern-day Tel Aviv, along the coast of the Mediterranean. The tribes of Israel lived throughout the land of Israel, and they lived on both sides of the Jordan River. On the eastern bank of the Jordan River lived the tribes of Reuben, Gad, and half of Manasheh. All of the tribes of Israel would gather in Shiloh located in Samaria. Shiloh was the city of Priests where the Mishkan (Tabernacle) was kept before it was brought to Jerusalem. Shiloh was the spiritual center of Israel for centuries. “The entire assembly of the Children of Israel gathered at Shiloh and erected the Tent of Meeting there…”(Joshua 18:1). It was in Shiloh that Hannah prayed for a son and was answered, later giving birth to the prophet Samuel. And then there is Hebron in Judea. It would be difficult to find another place with more Jewish history than that which we find in the city of Hebron. Hebron was the very first place acquired by the first Jew, the Patriarch Abraham. He purchased Ma’arat HaMachpela, the cave of Machpela, in order to bury his wife Sarah. “And Abraham weighed out to Ephron…400 silver shekels…And afterwards Abraham buried Sarah his wife in the cave of the field of Machpelah facing Mamre, which is in Hebron…” (Genesis 23:16-19). The Cave of Machpelah in Hebron is the burial place for all of the Patriarchs and Matriarchs except for Rachel. Hebron was the first capital of the kingdom of David, where David ruled for seven and a half years before then establishing Jerusalem as the capital of Israel. Hebron was an important city for King Hezekiah, when the Assyrians were the world’s aggressors. Hebron was also a critical military area, both at the time of the Maccabees, and during the time of Bar Kochba. In a complete affront to its millennia-long roots in Hebron, the Jewish community of Hebron was forcibly removed from there, after the massacre of 1929 and the subsequent Arab riots. In August of 1929, the Jews of Hebron, men, women, and children, were brutally massacred. The slaughter was bloody and frenzied; parents were murdered in front of their children; neither the old nor the young were spared. The Mufti of Jerusalem Haj Amin al-Husseini had been inciting the Arabs, using the pretext that Muslim holy places were under attack. Then, employing another tactic that was used then as it is today, he challenged the Jewish connection to the Kotel, the Western Wall that sits adjacent to the holy Temple Mount, the holiest site in Judaism. Despite the fact that The Supreme Muslim Council itself issued a guide to the Temple Mount in 1925 which clearly states, “Its identity with the site of Solomon’s Temple is beyond dispute,” there has been an ongoing attempt to obscure and deny the Jewish connection to Jerusalem. We are still seeing this ploy today, as those who want to destroy all evidence of Israel’s connection to the land bulldoze the archaeological remains of Solomon’s Temple in Jerusalem, this most sacred Jewish site. These uprooted and destroyed pieces of history are regularly discarded into the valley next to the sacred Temple Mount, from which dedicated groups and individuals work to salvage these desecrated remains. What was the British response to the horrific massacre of 1929, as well as, to the subsequent Arab riots of 1936-39, the British, who, at the unanimous direction of the League of Nations, were tasked at that time with reconstituting the Jewish people in their historic homeland? The British reaction was not to defend the remaining Jews. Their reaction was not to affirm the ancient, historical connection of the Jewish people to the land of Israel, the connection which was recognized and ratified by all the nations of the world only a few years earlier in the Mandate that the League of Nations had entrusted to Great Britain to facilitate. On the contrary, the British response was to evacuate this ancient Jewish community and tear the Jews from their roots because England refused to stand up for the truth and confront the Arab aggression. We see this same rejection and subversion of Jewish rights in Judea and Samaria today. In fact, despite the Jewish roots that go back to the very beginning of Jewish history, these are the regions that are consistently put on the chopping block in any current discussion about Israel. Furthermore, those Jews who live in Judea and Samaria, who simply refuse to abandon the Jewish home, history, and heritage, are regularly vilified and are the victims of verbal, economic, and even mortal assaults. Talia and Yitzchak Ames, Avishai Schindler, and Kochava Even-Haim were massacred by Arab terrorists near Hebron in 2010. Talia and Yitchak’s six children were left as orphans, as their pregnant mother and their father were murdered for the “crime” of being Jews. These Jews were vilified for refusing to leave their home and for wanting to live near the ancient Jewish city of Hebron where a Jew purchased property nearly 4000 years ago. Avishai Schindler was a yeshiva student who had just been married. Kochava Even-Haim was a teacher who left behind an eight-year-old daughter. We see violence perpetrated against the Jews of Samaria, as well. When Jews want to visit Joseph’s Tomb in the city of Shechem, they go under the cover of night and watchful eyes of the Israel Defense Forces, since attacks on Jews visiting the site are common. Joseph’s bones, which the Children of Israel had brought up from Egypt, they buried in Shechem, in the portion of the field that Jacob acquired…for a hundred kesitahs; and it became a heritage for the children of Joseph.”(Joshua 24:32). After all of the assurances that the Arab authorities supervising the area would respect this holy site, in October of 2000, the tomb of Joseph was, nonetheless, desecrated, along with the Yeshiva Od Yosef Chai, the Jewish house of study, which stood next to the tomb. The holy site was ransacked and burned. Rabbi Hillel Lieberman, one of the founders of the Yeshiva, was slain as he attempted to save the sacred site and its holy items from destruction. In 2011, 24-year-old father of four Ben Yoseph Livnat was shot and killed as he and other Breslav Hasidim attempted to visit the tomb. Joseph’s Tomb in Shechem has been subjected to unceasing acts of vandalism, desecration, and arson. Jews trying to visit and pray at this sacred place are repeatedly met with violence. In Samaria, near the city of Shechem, the towns of Elon Moreh, Har Bracha, Yitzhar, and Itamar were founded. These modern communities are nestled in the hill country, with Mount Gerizim and Mount Ebal towering above, “And all Israel and its elders and officers and its judges stood on this side and that of the Ark opposite the Kohanim, the Levites, bearers of the Ark of the Covenant…half of them on the slope of Mount Gerizim and half of them on the slope of Mount Ebal.”(Joshua 8:33). The town of Itamar was named for Itamar HaKohen (Priest), son of Aaron the Priest. “The labor of the Levites was under the authority of Itamar, son of Aaron the Kohen.” (Exodus 38:21). In March of 2011, on a Sabbath evening, Udi Fogel, 36, his wife Ruth, 35, and three of their children, Yoav, 11, Eldad, 4, and Hadas, 3 months, were brutally murdered in their home in Itamar by Arab terrorists from a neighboring town. They were killed for the “crime” of being Jews who would not leave their home, Jews who wanted to live in the birthplace of the Jewish people. The rejection and subversion of Jewish rights in Judea and Samaria, and the violence perpetrated against the Jews in these regions, are unrelenting. The ongoing attempt to obscure the Jewish Biblical, spiritual, historical, and legal rights to Judea and Samaria is extended further by the deceitful claim that Jews are “occupiers” in this land. Given the fact that the Land of Israel was never the sovereign country of any nation but the Jewish one, Jews cannot be deemed “occupiers” in their own land, a fact affirmed by international law. Recognizing the ancient and continuous, historical and spiritual connection between the nation of Israel and the land of Israel, the San Remo Resolution specifically included this spiritual heartland of Samaria and Judea as part of the area designated for reestablishing the Jewish National Homeland, along with all the land that is between the Mediterranean Sea and the Jordan River, all the land that currently comprises the country of Jordan, as well as, the Golan Heights and Gaza. The San Remo Conference, along with various treaties following World War I, succeeded in establishing independent countries sought by the Arab nationalists; Iraq, Syria, Lebanon, and Jordan were all established out of what had been provinces of the Ottoman Empire. Yet, when it came to similarly recognizing the rights of the Jewish nation to the Jewish homeland, there were those who consistently sought to prevent Jewish self-determination and sovereignty in the Jewish homeland of Israel. This was despite the fact that the world clearly recognized, by international law and treaty, the right of the Jewish nation to reestablish the Jewish National Homeland. We continue to see this same rejection of Jewish rights to the land of Israel today. We continue to hear the persistent demand that Jews give up their homeland. And we hear the unremitting vilification of those Jews who are unwilling to do so. “The resourcefulness of the modern Jews, both in mind and soul, is extraordinary. cement must be created to hold together whatever is individual in the Jew. “You are a people without a land; there is a land without a people. Be united. “The Hebrew language is the only glue which holds together our scattered bones. the rest of the peoples have drawn their beliefs and their religions. The Jew is the pioneer of liberty. land, sustaining millions of Israelites, who industriously tilled its hillsides and valleys. nation that ever inhabited this Earth. The Romans and their empire were but a bubble in comparison to the Jews. “Greater Syria is a country without a nation in need of a nation without a country… is there such a thing? Recently, as many as 100,000 readers were delighted to receive their copy of the second issue of the new ‘Sovereignty’ political journal. This publication was started by Nadia Matar’s Women in Green movement and was made available in both Hebrew and English. The need for such a publication, and the important void which it has filled was long overdue. For decades the right has left the war of ideas to the left and instead has focussed on changing facts on the ground. In light of the most recent push—led by US Sec. of State Kerry—to give up our heartland for the creation of another Arab state, the time has most definitely come to dispel the rhetoric that has plagued and infected the Israeli discourse for decades. Even Bibi has apparently bought in to the left’s traditional arguments. Israel basically has two options, according to the now broadly accepted premise: Carry out a ‘two state solution’ in the creation of a ‘Palestinian’ state and in turn maintain Israel’s Jewish and Democratic character. Fail to do this and end up with a bi-national state in which either the Jewish or Democratic features will ultimately have to be sacrificed. What Sovereignty has done, and is doing, is highlighting the fact that Israel need not be constrained to such a choose-one-or-the-other’ fate. It has thus far presented a number of different ideas that could be alternatives to the ‘two state solution’. Arguably the most right-wing alternative is Annexation of Judea & Samaria, and then coming up with solutions about how to maintain the desired characters of the state following that step. This idea denies that Israel must give citizenship to all 1-2 million Arab residents following annexation (something that is not outrageous by any means). Does Israel really need an alternative? Does Israel need to formally annex the territories? I believe that after the nationalist camp has advertised the fact that alternatives do in fact exist, it will eventually need to band together around one single plan in order to succeed against those who would eagerly give up our land, our rights, and our sovereignty. There is that word again, ‘sovereignty’, and this is the idea—as is the name of the political journal—around which the right can and should be rallied. The state of Israel, created in 1948, can trace its foundation back to a single and regularly overlooked document, the San Remo document of 1920. This document describes the outline of the ‘Land of Israel’, (or ‘Jewish National Home’) an important term when dealing with subsequent documents relating to Israel, the State of Israel, and Israeli law. The ‘Land of Israel’ was never changed in international law after San Remo, only facts on the ground changed, the most important of which was the creation of Trans-Jordan (Jordan), which cut off some 70% of the ‘Land of Israel’ (together with modern day Israel constituting the British Mandate for Palestine). In 1948, following the War of Independence, Ben Gurion used an interesting law in order to formerly incorporate—not ‘annex’—territories held by the Israeli forces that fell outside of the 1947 partition plan lines. This included places such as Beer Sheva, where the world today doesn’t dare question Israel’s sovereignty. Since Judea and Samaria were part of the British Mandate for Palestine, they are also part of the Jewish National Home as defined at San Remo, and since the IDF had declared its hold over the area by proclamation, both in 1967 and until this day by way of action, the law of the State ought to have been applied to it – and could have been applied to it, but wasn’t. “failed at the appropriate moment to utilize the leading precedent established in his [sic Meir Shamgar] own country when, during the War of Independence, additional areas of the Land of Israel were recovered by the IDF, that were thenceforth subject to the law of the State. The above facts and precedent were simply ignored or never even thought of”. If the precedent law would have been followed, or if it were to be followed, then another Israeli law would make the act of annexation at this juncture unnecessary. The ownership of Israel lands, being the lands in Israel of the State, the Development Authority, or the KKL, shall not be transferred either by sale or in any other manner. It is unlikely that in 1967 the Eshkol government, acting on the advice of its top legal authority Meir Shamgar, could have foreseen the predicament we face today. While it is undoubtedly important and overdue to express counters to the ‘Two-state solution’, Israel’s right must rally around a single idea if they wish to see that form of national suicide defeated. And that idea is sovereignty, the rights enshrined at San Remo and later supported by Israel’s own laws. Could it be that based on this rendition it is actually illegal vis-à-vis Israeli law for anyone to try and transfer any parts of the Jewish National Home to any other entity? Have all governments since 1967 that have negotiated parts of the Jewish National Home been acting in contravention to Israeli law? After all, what is actually being negotiated at the moment? Our sovereignty. *(Note:I must credit the great work of the late Howard Grief, ZT”L for his excellent research on the legalities of Israel’s borders). The language of Article 49 was crafted in the wake of World War II and the Nazi occupation – an occupation that led to a war of aggression in which Nazi Germany attacked its neighbors with impunity, committing a host of atrocities against civilian populations, including deportation and displacement of local populations in occupied Europe. Millions were sent to forced labor camps and those of particular ethnic origin, most notably the Jews, were sent to their deaths in the gas chambers. The drafters of Article 49 were concerned with preventing future genocide against humanity. Critics and enemies of Israel, including members of the UN and organs such as the International Court of Justice (ICJ) have come to use the Geneva Convention as a weapon against Israel, even when statements by authoritative analysts, scholars and drafters of the document contradict everything said by those who distort history for politically motivated reasons. It is common knowledge that from its birth, Israel follows customarily international humanitarian law without being told or forced to do so by outside authorities. The term “occupied territory,” which appears in the Fourth Geneva Convention, originated as a result of the Nazi occupation of Europe. Though it has become common parlance to describe the West Bank and Gaza as “occupied territories,” there is no legal basis for using this term in connection to the Arab-Israeli conflict. (1) Article 49 relates to the invasion of sovereign states and is inapplicable because the West Bank did not and does not belong to any other state. (2) The drafting history of Article 49 [Protection of Civilian Persons in Time of War] – that is, preventing “genocidal objectives” must be taken into account. Those conditions do not exist in Israel’s case. Article 2 of the Fourth Geneva Convention applies only to conflicts that “arise between two or more high Contracting Parties,” which is not the case at hand, as Israel is the only High Contracting Party (or state) in this conflict, and Jordan never was. Thus, the Fourth Geneva Convention is inapplicable! “That because of the ex iniuria principle [unjust acts cannot create law], Jordan never had nor now has any legal title in the West Bank, nor does any other state even claim such title. Article 49 seems thus simply not applicable. Even if it were, it may be added that the facts of recent voluntary settlements seem not to be caught by the intent of Article 49 which is rather directed at the forced transfer of the belligerent’s inhabitants to the occupied territory, or the displacement of the local inhabitants, for other than security reasons. “The opposition to Jewish settlements in the West Bank also relied on a legal argument – that such settlements violated the Fourth Geneva Convention forbidding the occupying power from transferring its own citizens into the occupied territories. How that Convention could apply to Jews who already had a legal right, protected by Article 80 of the United Nations Charter, to live in the West Bank, East Jerusalem, and the Gaza Strip, was never explained.” It seems that the International Court of Justice never explained it either. Article 80 of the United Nations Charter specifically created in San Francisco on 26 June 1945, recognizes the continued validity of the rights granted to all states or peoples, or already existing international instruments including those adopted by the League of Nations, such as the “Mandate for Palestine.” Jews legal rights of settlements survived the British withdrawal in 1948. The International Court of Justice [ICJ], Rome Statute of the International Criminal Court [ICC), and the Fourth Geneva Convention lack the authority to affect ownership of the Territories of Judea and Samaria known also as the West Bank. As pressure to reach a peace agreement mounts, strong voices urge Israel to relinquish land that has borne the name and history of the Jewish people for four millennia. The sources of conflict between Israel and her Arab neighbors are obscured by fabricated terms such as “occupation” and “apartheid,” and even by valid considerations such as “strategic depth” and “secure borders.” Security is indeed critical to Israel, as it is for any nation, but it does not begin to convey the deep connection the Jewish people have to the Land of Israel, where they have lived continuously since ancient times, nor does it adequately represent the undeniable rights the Jewish people have to that land. The Land of Israel is the national homeland of the Jewish people. By any criteria, whether by the Biblical Mandate, the historical connection, or through international law, the Land of Israel belongs to the Jewish people, and it is unjust to demand that the Jewish people relinquish their homeland. The Jewish nation lived and worshipped as a free and sovereign nation in the Land of Israel, from the time Joshua re-entered the land with the Israelites, until the Babylonians destroyed the holy Temple in Jerusalem in 586 BCE. Seventy years later, the Jews rebuilt this Temple, which then stood for centuries until the Romans destroyed it in the year 70 CE.The Temple Mount in the holy city of Jerusalem remains the holiest place within Judaism, and unto this day, every Jew turns towards the Temple Mount to pray. Throughout the centuries, many conquerors tried to incorporate the Land of Israel into their own empires: the Babylonian empire, Persian and Greco-Assyrian, Roman, Byzantine, Arab Caliphates, Turkish, Crusader, Ayyubid, Mameluke, and Ottoman. But despite these attempts, Israel remained the country of the Jewish people, and Jerusalem has served as the capital of only one nation: the Jewish nation. Through every banishment and forced exile, the Jewish people continually looked to their ancient homeland, prayed to return to their land, included the mention of Israel and Jerusalem in daily prayers, and imbued each life-cycle gathering and festival celebration with the yearning for Shivat Tzion, for a return to the land of their ancestors. In the modern era, in the aftermath of World War I, the Principal Allied Powers, who were invested with the international authority to supervise the breakup of the former Ottoman Empire, met in San Remo, Italy, to discuss the borders of the new countries to be formed in the region, from the many peoples that had been part of the Ottoman Empire. The San Remo Conference produced a series of mandates. Jan Christiaan Smuts introduced the Mandates System whereby a developed country would tutor and guide a not-yet-developed country down the path to statehood. Great Britain was tasked with supervising the Mandate for Palestine and the Mandate for Mesopotamia, while France was responsible for the Mandate for Syria. Ultimately, not only Israel, but Iraq, Syria, Lebanon, and Jordan were all established out of what had been provinces of the Ottoman Empire. For the Jewish homeland, they allocated all the land that is between the Mediterranean Sea and the Jordan River, as well as, the land that currently comprises the country of Jordan, along with the Golan Heights, and Gaza. They allocated these regions of the former Ottoman Empire for the Jewish homeland in recognition of the fact that these were the areas where the Jewish people lived, where the history of the Jewish nation took place, and where the prophets of Israel delivered their message. Hebron was the first capital of Israel, burial place of the Patriarchs and Matriarchs of Israel; Bethlehem is the city where the Matriarch Rachel is buried, where Ruth gave birth to the line of the Davidic monarchy; Shechem was the capital of the Northern Kingdom of Israel; Shiloh, the city of Priests, housed the holy Tabernacle before it was brought to Jerusalem. We read of Joshua in Jericho, Amos in Tekoa, Jeremiah in Anatot, and Jacob in Beit El. These regions of Shomron (Samaria) and Yehuda (Judea) constitute the Jewish spiritual heartland which is steeped in Jewish history dating back to Biblical times. The San Remo Resolution and the Mandate for Palestine, as well as the Franco-British Boundary Convention of 1920, established international law which affirmed the Jewish right to settle the entire area that was designated as the Mandate for Palestine, just as San Remo and the Mandates System, which was enshrined in the Covenant of the League of Nations, affirmed the Arabs of their right to settle their respective countries. In fact, the Mandate for Palestine was synonymous with a Jewish National Home, as this was the land that was identified specifically for the Jewish people to reestablish an independent, sovereign state. The British, nonetheless, went on to violate their obligations under these binding acts of international law by giving 77% of the lands allocated exclusively for the Jewish homeland, to create the Arab country of Jordan, or Transjordan, as it was initially called. The British gave away these areas that were steeped in Jewish history, areas where the tribes of Reuben, Gad and Menasheh had made their homes, thereby leaving only the land that was between the Mediterranean Sea and the Jordan River for the Jewish National Homeland. The Jewish right to settle anywhere between the Jordan River and the Mediterranean Sea remains enshrined in international law to this day. Additional attempts to wrest the Jewish homeland away from the Jewish people have continued throughout the decades since San Remo. And we are seeing the current rendition today, as once again, pressure is being brought to bear on the Jewish nation to forfeit its legacy in order to appease those who reject her right to exist. The Peel Commission advanced another such attempt. In 1937, it proposed a partition of the 23% of remaining Mandate land, after the British withheld 77% of the Mandate to create Transjordan. The Arabs rejected the proposal of the Peel Commission, just as they would reject every proposal that included a Jewish state within any borders. Instead, the Arab Bludan Conference, in September of 1937, proposed a boycott of “all Jewish goods and activities,” a tactic often used to criminalize the Jewish presence in the region. It is a tactic that is being utilized against the State of Israel again today. The Partition Plan was yet another attempt to wrest away from the Jewish people additional portions of the Jewish homeland. Ironically, this November 29, 1947, vote of the General Assembly of the United Nations on Resolution 181 which, similar to the Peel Commission, tried to partition the remaining 23% of the land allocated for the Jewish homeland, has often, erroneously been viewed as the legal basis for the modern State of Israel. In fact, this Partition Resolution, which reserved for the Jewish State only 17% of the original Mandate, in illegal abrogation of Jewish rights to this land, was true to its name: it was yet one more attempt to subdivide the Land of Israel in order to appease those who have repeatedly rejected the right to sovereignty and self-determination for the Jewish people in their ancestral homeland. These agreements were emphatic in ensuring that the Armistice line would not be considered a formal boundary, once again, rejecting a Jewish state within any borders. Whether by further subdivision of the land, or through boycotts to criminalize the Jewish State, these tactics stem from the ongoing and absolute rejection of the Jewish people’s right to sovereignty and self-determination in their ancestral homeland. And while much attention is focused on the years of 1948 and 1967 as the lynchpins for strife in the region, in fact, attempts to rid the land of the Jewish people, as well as, violent attacks on Jews, were as clear before these dates as they were after these dates. There was the Hebron massacre of 1929, when Arabs slaughtered their Jewish neighbors who had resided in Hebron for, literally, thousands of years. There was no “Green Line” at this time; there was no modern State of Israel at this time. In 1938, in Tiberius, terrorists went from house to house killing parents and children. Again, there was no “Green Line,” no Jewish State. In 1954, in Scorpion’s Pass (Maale Akrabim), 11 men and women were murdered as their omnibus travelling from Eilat to Beersheba was attacked. This was long before the 6 Day War of 1967. In 1956, in Shafrir, terrorists fired on a synagogue full of children and teenagers. In 1972, Israeli Olympic athletes were killed in Munich, Germany. (Israeli General) Gur said later that he could see the girl students being shot one by one. Israeli officers said that they found ten girls dead, each with a bullet in the neck. Time’s David Halevy was among the first to enter. “Gray smoke enveloped the school,” he reported…I raced up to the second floor. A group of dead kids were lying in a corner. Their bodies were clustered in grotesque positions — as if they had died trying to protect one another. One girl was lying on her back, her eyes wide open, staring at the ceiling. Her body was cut in half at the waist. Most of the injured seemed to be girls. That was the shocking thing. They were beautiful girls with ugly wounds on their faces. Their clothes had been shredded, and there were open wounds on their breasts and legs. The movement of stretchers seemed endless.” The carnage, once the shooting ended, included 17 teen-agers dead and 70 wounded. (Time Magazine; Monday, May. 27, 1974). Year after year, there have been terrorist incidents, too numerous to mention here. to security, to self-determination, and to peace. The right of the Jewish people to live in their historic homeland of Israel was rejected before 1948, and after the reestablishment of the modern State of Israel in 1948; before 1967, and after 1967, when, besieged by hostile Arab armies, Israel recovered those lands that had been internationally mandated and guaranteed to the Jewish people at San Remo; and this basic right is still being denied today. Had the neighboring countries and peoples ever offered Israel any kind of reciprocity, any acknowledgement of the rights of the Jewish nation to a sovereign state in her ancestral homeland; any recognition that the Jews, like the Arabs, were entitled to self–determination in their own homeland carved out of the vanquished Ottoman Empire; had they welcomed, or at least, tolerated, the Jewish people’s right to their sliver of the Middle East, the right to one Jewish state amidst 21 Arab states – there would be peace. It is unjust that the same international law that upholds the rights of Lebanon, Syria, and Iraq was abrogated regarding the Jewish National Homeland, and is repeatedly violated in each new attempt to separate the Jewish people from the Land of Israel. It is unjust that Jews do not have free access to the lands allocated and guaranteed to the Jewish people, lands where our tribes lived on the eastern banks of the Jordan River. It is unjust to demand that the Jewish people relinquish any more of their homeland. It is the legacy of our ancestors and the heritage of our children. Legally, spiritually, and historically, the Jewish people have always had the sovereign right to the Land of Israel, despite the dogmatic march that tries to conceal that fact and demand that they relinquish it. It is unconscionable that good and fair-minded people would bring such pressure to bear on a sovereign nation whose only desire is to live in her ancestral homeland in peace.